To satisfy consumer expectations, Nestlé Central and West Africa Region (CWAR) have expressed commitment to redesigning its Maggi product, with the reduction of salt content, using more familiar and common ingredients. Dominique Allier, Business Executive Officer Culinary for Nestlé Central and West Africa, said in a statement on Monday in Lagos. Nestlé Central and West Africa says it is committed to reshaping Maggi product to emphasise the use of familiar and common ingredients that people know and have at home. According to the organisation, the redesigning is part of its mission to support home cooks with healthier and tastier choices, by simplifying ingredients lists, reducing salt and increasing micronutrient fortification. This announcement was made at a Nutrition Forum for stakeholders across West and Central Africa, in Dakar , Senegal. Dominique Allier, Business Executive Officer Culinary for Nestlé Central and West Africa, said: “Consumer expectations are changing. They want products with common ingredients they know, minimal processing, natural or organic and ideally locally produced. “Our company has a role to play in contributing to the needs of the society. To do so, Maggi is reorganizing its supply chain to privilege local sourcing of ingredients. In a statement by Nestle Nigeria Plc, Allier said that Nestlé would continue to lower the salt content in the Maggi range, as well as strengthen fortification. “Fortification is a means Maggi uses to help prevent malnutrition in countries where daily consumption of essential micronutrients is lacking. “This will contribute to help people in their efforts towards reducing their salt intake and meeting WHO recommendations on reducing risks associated with high blood pressure. The statement said that Maggi “Simply Good” summarises the commitments of the iconic Brand to help cook in the Central and West Africa, where fortified Maggi stock cubes and other products are a staple for many households, Maggi “Simply Good” summarises the commitments of the iconic Brand to help cook the difference. 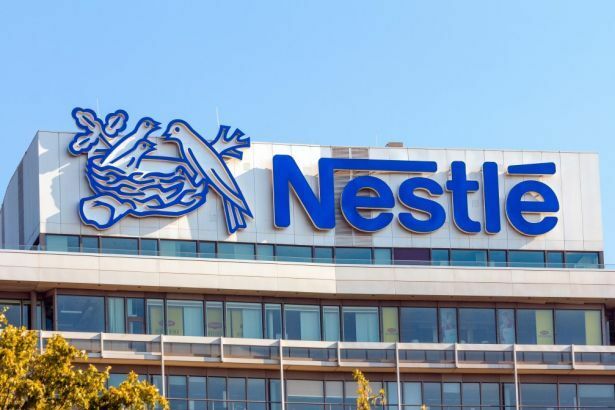 The organisation said that in addition to the strong commitments on improving ingredients, Nestlé in Central and West Africa would also highlight nutritional challenges by engaging with government authorities, civil society and consumers. According to it, these can be achieved through diverse engagement strategies. “In the Central and West Africa region, we will engage with 50 million women in nutrition related activities directly via in-person and social media channels. “Maggi is committed to create more value for the society and the environment by reducing the weight of our Maggi wrappers by 13 per cent in the region, which will represent around 300t reduction of packaging material by 2020. “The work done with the 300,000 ‘’mammies’’ (Maggi-sellers) in Central and West Africa will continue around the support through micro-enterprise management and access to health through vaccination programmes. “The company will enrol 30.000 cassava and soya farmers in its training program and enable the local sourcing of 100 per cent of its needs in soya beans and cassava flour. “The Maggi brand is a key lever to achieve our ambition through strong and bold commitments we have made in Central and West Africa Region,’’ Allier said in the statement.